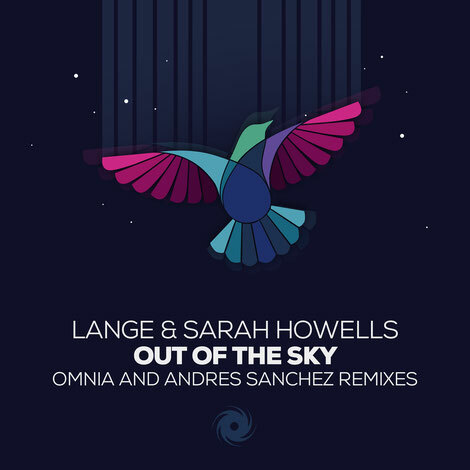 Lange & Sarah Howells’ ‘Out Of The Sky’ gets released again with two remix revisions from Omnia and Andres Sanchez, as they give their take on the lead track from Lange’s ‘Better Late Than Never’ album. Omnia scripts a blissed-out summer mix, one that holds a connection with Sarah’s penned song. The Ukrainian uses fluttering synths, undulating bass, chord structures and key changes to repoint the track for the season ahead. Madrid’s Andres Sanchez has been working with various labels over the last year or so, including FSOE, WAO138? !, Subculture, Grotesque, ASOT and Flashover among them. On his mix, he strengthens ‘Sky’s club form, reinforces its later-night floor credentials and with a raft of sub-melodies and synth elevation. These two mixes should broaden the appeal of the track and they are available now on Blackhole Recordings.